Discover three easy diet “cheats” to shed the fat. Recent research has shown that including chopped red chilli in your diet can curb your appetite. Scientists discovered capsaicin, the element responsible for giving chilli peppers their heat, reduces hunger pangs while increasing energy levels. And even better news if you usually avoid spicy food – those who didn’t regularly eat chilli experienced an even greater decrease in appetite, especially for fatty, salty and sweet foods. TIP Most dried and fresh chillies contain capsaicin. Sprinkle half a teaspoon over main meals. If you want to avoid overeating try tucking into a small salad before a meal. The fibre in salad helps slow the entrance of glucose (sugar) into the bloodstream so you’re less likely to feel hungry. According to a study published in the Journal of the American Dietetic Association, when women ate a simple low-fat salad before dinner they consumed 12 per cent fewer kilojoules during their meal – even if they weren’t dieting or trying to limit their intake. TIP Try varying your salad choices with all sorts of greens. 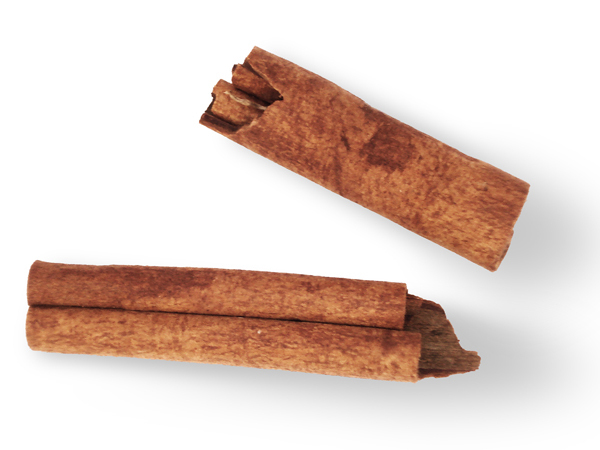 Pudding isn’t always a no-no and won’t necessarily destroy your hard work when dieting – provided it contains cinnamon. A Scandinavian study published in the American Journal of Clinical Nutrition found that when volunteers were given rice pudding with three grams of cinnamon they produced less insulin after the meal. Insulin is the hormone that turns excess sugar into fat so this meant less weight gain. As well as lowering blood sugar levels cinnamon may slow the passage of food through the stomach, meaning you can feel fuller for longer. TIP Sprinkle a teaspoon of cinnamon over cereals, yoghurt or fruit, use it to season puddings or stir it into coffee. It’s especially effective if consumed directly after meals.